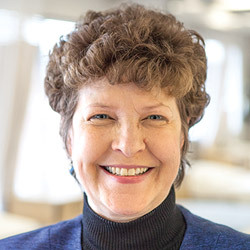 In her 10 years in the School of Health Sciences, Susan Casey has brought both change and stability to Seattle Pacific University’s graduate programs in nursing. Through her leadership, SHS has been able to extend its reach into the community, helping to make SPU master’s graduates among the most highly recruited. Susan came to Seattle Pacific in 2004 as an adjunct in the MSN program. She was appointed as the director of research and development for the 2005–06 academic year, and gathered data about future offerings in the MSN program. The following year she was appointed associate professor and director of the Master of Science in Nursing program. Finally, in 2008, she was appointed as associate dean of the graduate program, her current role. Prior to her arrival at SPU, Susan was a post-doctorate senior research fellow at the University of Washington, and her teaching was in the areas of pediatric nursing and research methods. Susan will be as active in retirement as she has been in practice. Her plans for retirement include spending time with her husband, Pete, both at home and on the road in their RV. 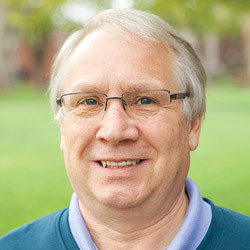 Jon Deming came to Seattle Pacific University in 1977 as one of the original faculty members of the School of Business and Economics. Jon says he knew he belonged when interview questions focused on his personal faith journey, sense of mission, and calling to SPU. During the early years, Jon was both the economics faculty and the SBE curriculum coordinator. In his role as curriculum coordinator, Jon helped shape SBE and its instructional program as it grew from five to 23 full-time faculty members. Jon’s record of dedicated service to the University has impacted SPU governance, curricula, and student life. He is foremost a classroom teacher, advisor, and mentor, and he sees faith and economics as being complementary. During his 37 years, he has taught more than 150 sections of “Principles of Economics” and 8,000 students. It was not uncommon for students to arrive with anecdotes from their parents’ experience in Jon’s class. After Jon’s retirement, he and Patricia, his wife of 40 years, plan to finish a house on Whidbey Island, read, travel, spoil six grandchildren, and “very slowly” grow older together. 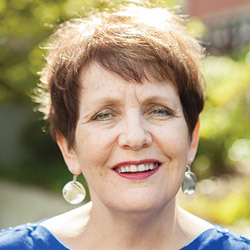 During her time as a teacher education faculty member at SPU, Sharon taught several different foundations and methods courses and served in various leadership roles in the School of Education, including undergraduate chair of teacher education and foundations chair. Sharon was often the only undergraduate teacher education faculty member in SOE, and in that role, consistently had the most regular interaction with undergraduate teacher education students. They described her as warm, inviting, good-humored, and no-nonsense, and her course evaluations often included the phrase “my favorite professor.” Sharon’s colleagues are pleased that Seattle is her home as she steps into retirement and that she remains close at hand. Over the years, Wayne has been very active in the local, state, and national levels of the Music Teachers National Association as a recitalist, convention committee member, adjudicator, and presenter. He has written articles and reviews for the American Music Teacher Journal and other publications and given pre-concert lectures for the Seattle Symphony. Wayne was born and raised in Kingsport, Tennessee. After retirement, Wayne and his wife, Claire, are returning to his roots to be near his relatives and to enjoy some Southern cuisine and a rural lifestyle. 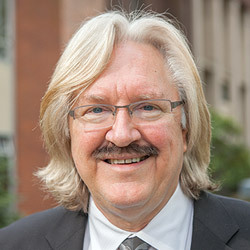 Lyle Peter has created a legacy as a pioneering advocate for undergraduate research and rigorous academic standards in the sciences at Seattle Pacific University. 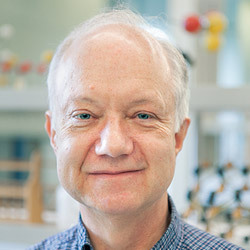 A graduate of Seattle Pacific, Lyle earned his doctorate in inorganic chemistry from the University of Washington and returned to his alma mater as a faculty member in 1979. During his 35 years on the SPU faculty, Lyle has been a constant advocate for involving undergraduate students in research. His recent interests, pursued in collaboration with colleagues and student researchers, have included theory and computational techniques in quantum mechanics as applied to molecular systems. He has helped improve curriculum and prepare students to understand and participate in scientific inquiry. For many years as department chair, and always as mentor and collaborator, he has led efforts to provide an environment where faculty can thrive as teachers, mentors, and scholars. Lyle’s untiring service has also enriched his church family at United Evangelical Free Church for many years. His wife, Beate, and four children (three of whom have graduated from SPU) know him as a loving, committed husband and father. During his nearly 30 years on the Seattle Pacific University faculty, Luke Reinsma has served SPU in a number of roles: supervisor of the Writing Lab, language arts advisor, and director of the University Scholars honors program. But it is primarily as a teacher and mentor that he will be remembered by generations of SPU students. Luke made ancient texts — Homer’s Iliad, Vergil’s Aeneid, Beowulf, Chaucer’s Canterbury Tales — spring to life in the classroom. Just as important, he helped thousands of students breathe life into moribund papers as a result of innumerable one-on-one conferences in his office. In recognition of his passion for teaching and his devotion to his students, the Associated Students of Seattle Pacific selected Luke as “Professor of the Year” on two separate occasions. Luke and his wife, Barbara, have two children, both of whom attended SPU. Luke is an accomplished climber and hiker who served for many years as a volunteer with Mountain Rescue. After retirement, he plans to complete the last leg of a multi-year project: hiking the entirety of the Pacific Coast Trail from Canada to Mexico. 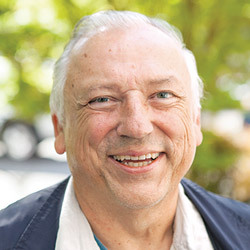 Don Yanik joined the Seattle Pacific University faculty in 1985 and has taught courses in scenery, costume, and makeup design, and served as the producing director for all SPU Theatre Department productions. 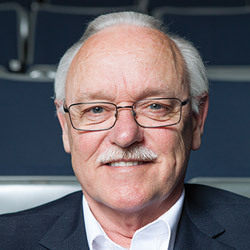 Don also served as chair of the Theatre Department from 2000 to 2013. Don’s 133 professional design credits include nine world premieres, three U.S. premieres, three West Coast premieres, and seven costume design plots. His Seattle design credits include productions for Seattle Repertory Theatre, The Empty Space Theatre, Seattle Children’s Theatre, ACT-A Contemporary Theatre, Taproot Theatre, Village Theatre, and Seattle Musical Theatre (formerly Seattle Civic Light Opera). He designed sets for 171 productions at SPU and 17 productions while teaching at the University of Arkansas. Whether painting a set, shopping for fabric, building costumes, running technical rehearsals, or holding production meetings, Don guided students to do their best work as theatre artists and as people. Among his many other contributions to the University over the years has been faithful service as “presiding marshal” at SPU’s high ceremonies. Don’s colleagues deeply value his energy, humor, and wisdom, but most of all his clarity of vision: for the Theatre Department, for any given production design, and for his students. Michael Ziemann grew up in East Germany, in the Soviet Occupation Zone, just outside Berlin. As a young man of 17, only two months after the Berlin Wall went up in 1961, Michael escaped across the wall. Of that key event in his life, Michael says, “I could not have made it safely without the Lord’s leading.” After being debriefed in West Berlin, Michael went on a student exchange to Central College in McPherson, Kansas. 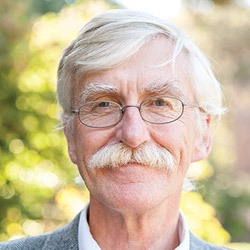 With Michael’s arrival as a faculty member at Seattle Pacific University, SPU gained a native German speaker and a European Studies authority who made a vital contribution for 33 years, particularly in the broad area of European studies. His papers and scholarly articles are well-known for their depth and breadth of research. On one of SPU’s early European Quarters, students gave Michael a shirt upon which was written: Doktor Allwissend (Dr. All-Knowing), in honor of his vast knowledge. After retirement, Michael’s plans include time with his wife, Joy, and family; hiking; finishing a study of climate change in the Austrian Alps; language study in Hawaii; and travel to Australia.